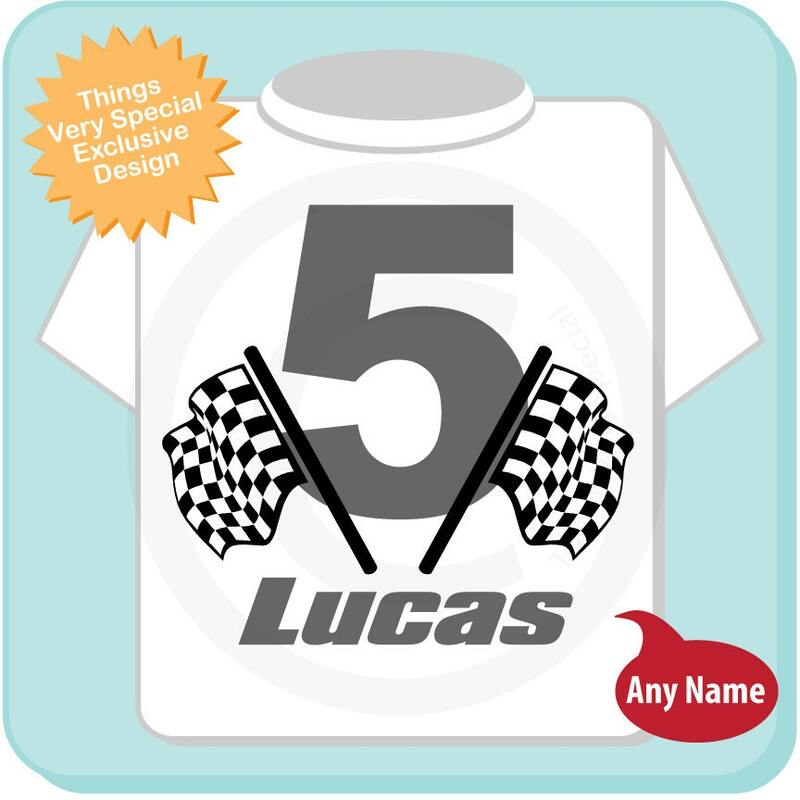 This cute Racing Theme Checkered Flag tee shirt or Gerber Onesie with big grey birthday number and checkered flags can be personalized with your child's name and age. Item was exactly to my specifications and arrived a day earlier than estimated. 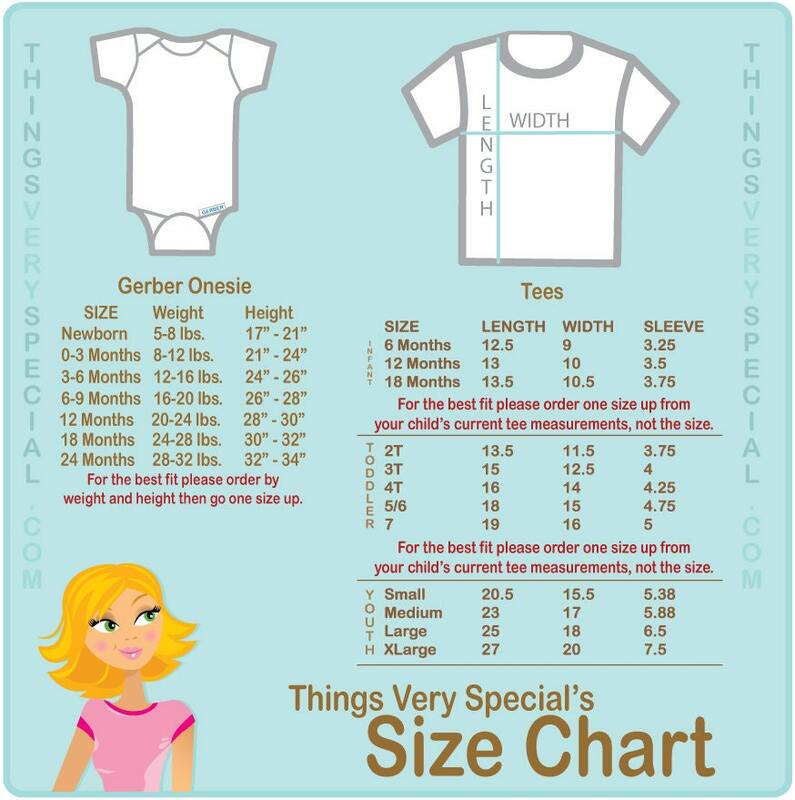 Will purchase from ThingsVerySpecial again!